One of my readers asked me to write a tutorial on the kimono sleeve. I tried it once, I found the pattern making method rather simple but the result was so disappointed that I completely put that idea aside. It was problem with the fabric choice more than the pattern. 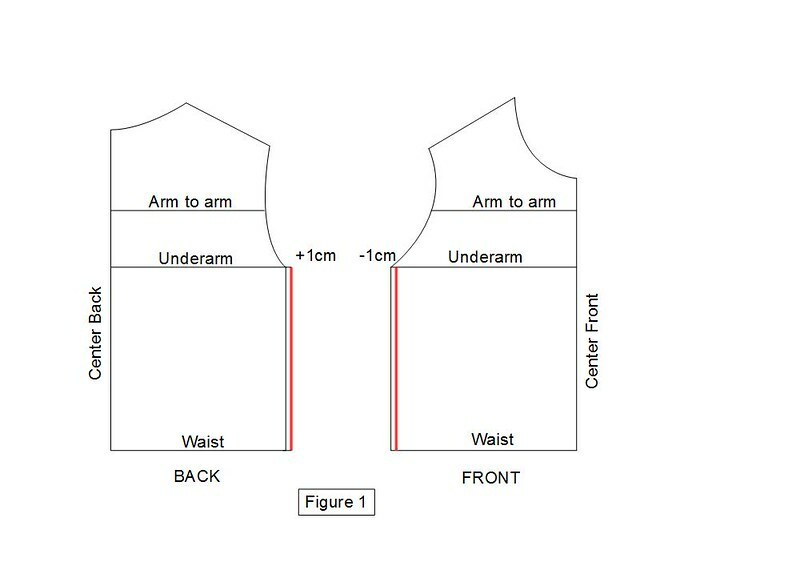 So I prefer to warn you, for this type of sleeve, choose a light knit fabric. The kimono sleeve is very fashionable this year, in its various versions. In this tutorial, I’ll show you the simple one, the kimono sleeve without gusset. This method of construction comes from the book “The fashion pattern-making, Volume 2” by Teresa Gilewska. Let’s start with the beginning. 1. 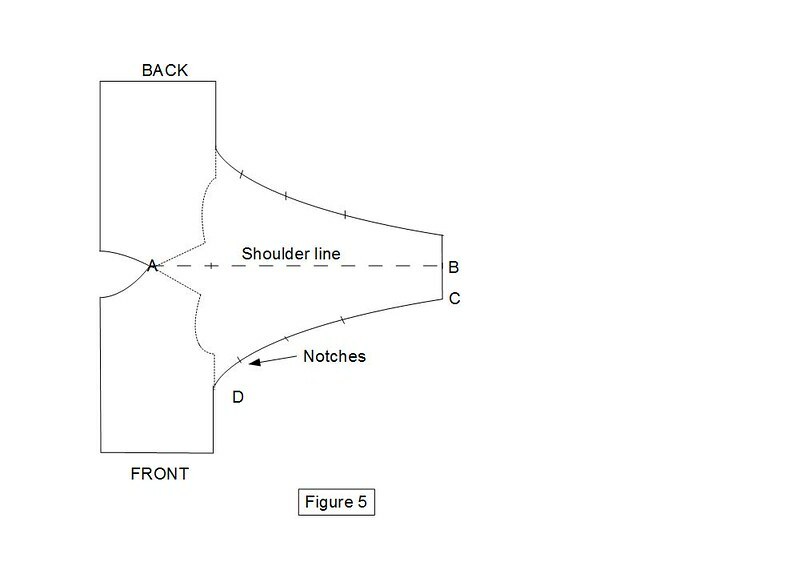 Take your made to measure bust pattern, without darts but with enlargements, and make sure that the front waist width is equal to the back waist width. It other words, remove 1 cm or more from the front and add 1 cm or more to the back (Figure 1). 3. 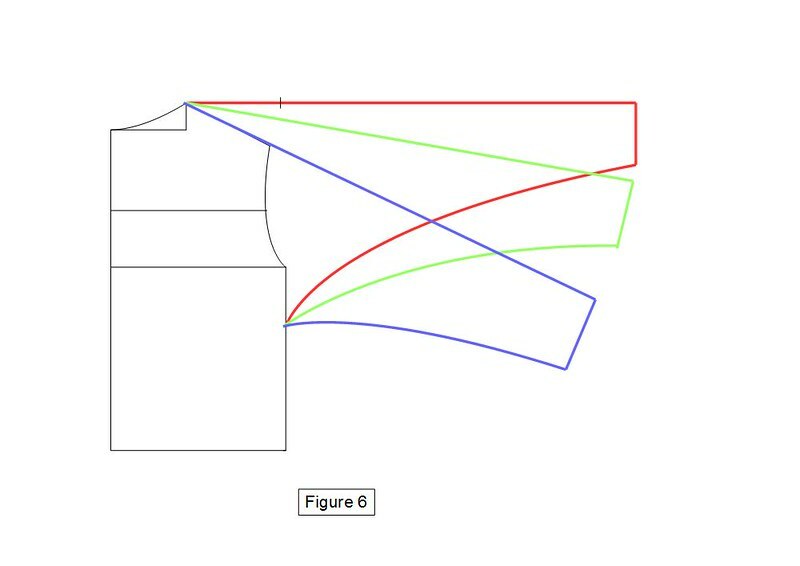 From point C, draw the under-sleeve line. This line must meet a platitude of few inches below the wrist and therefore form a right angle in D. CD forms the shape of the kimono. 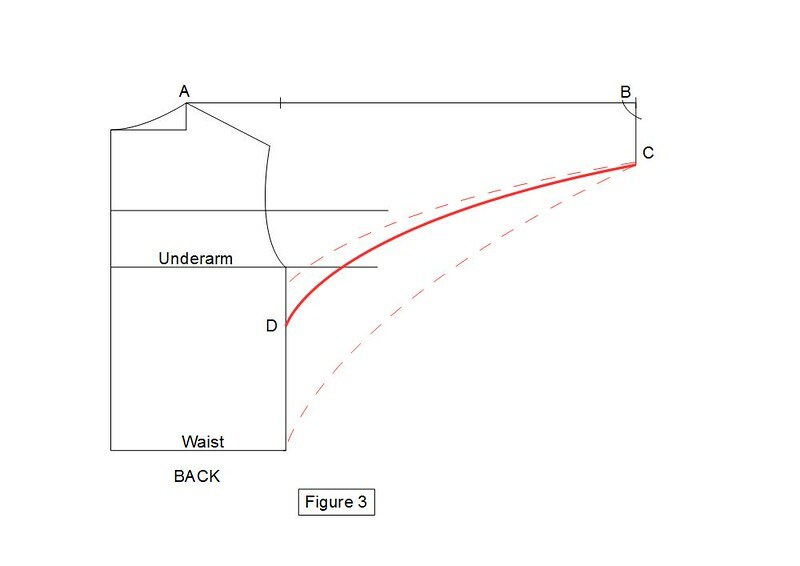 Following the desired amplitude, D is between the armhole line and the waist line (Figure 3). 5. This construction is not suitable for heavy fabrics, because the thickness of the folds formed under the arms can cause discomfort in the movements. To reduce the wideness, you need to move down the sleeve. 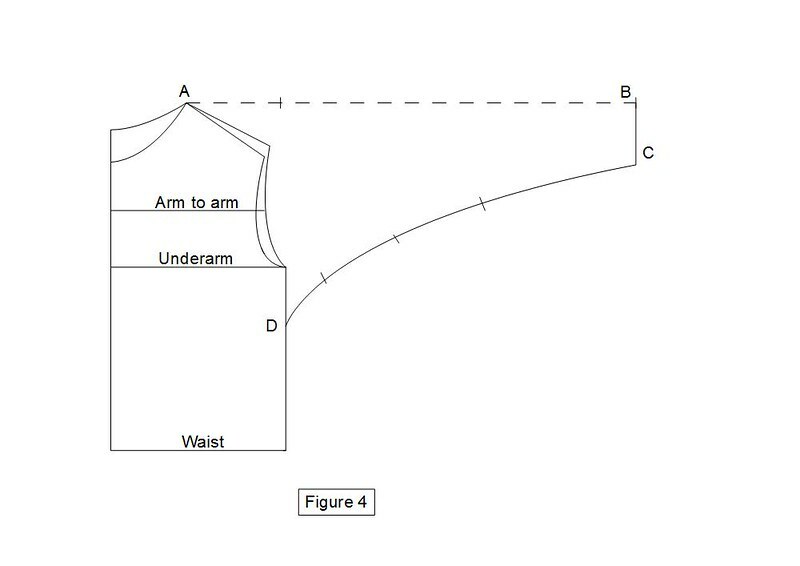 This inclination of the sleeve is limited to the shoulder line (Figure 6). 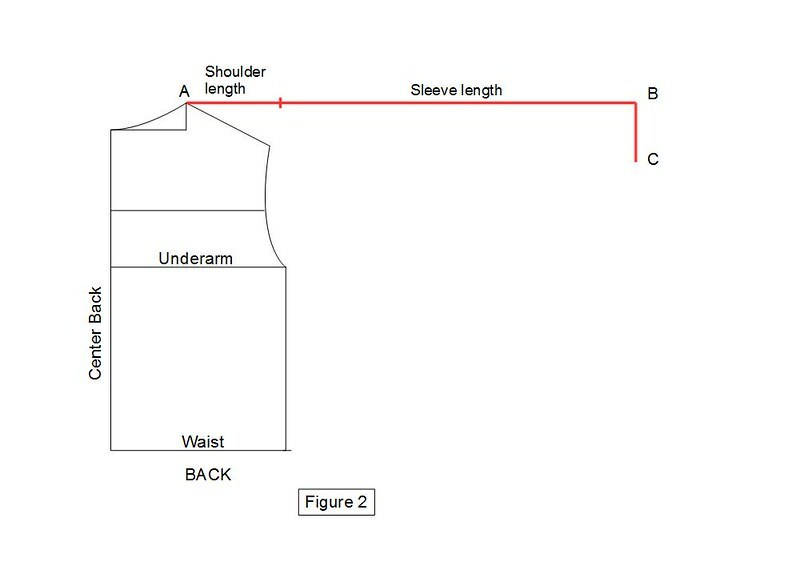 Below the shoulder line, the kimono sleeve requires the construction of a gusset. Your sleeve expertise continues to increase. After the basic sleeve, the raglan sleeve and kimono sleeve, are you ready to learn the shirt sleeve or the pivoted kimono sleeve? Thanks for the very useful tips..you never too old to learn!!! Very easy steps to follow.thanks so much for the guide. I especially love the aspect of choice of material..
trying to fit in kimono sleeve, the square dropped shoulder, finding difficulty where the side seam meets up the join of base of sleeve (under arm bit) ?? please help.